Like music, movies, books, and other entertainment mediums, there’s a still a hankering for older video games. People are able to play the classics through different means – via compilations, illegal emulators and ROMs, or even through special consoles designed to play original cartridges like Hyperkin’s Retron5 (a home console that can play NES, Super Nintendo, Game Boy, Sega Genesis, and even Famicom games) and SupaBoy (a handheld console that plays Super Nintendo cartridges). Nintendo is aware of this and they have their Virtual Console line specifically to cater to this. These Hyperkin consoles were designed to play Nintendo’s original cartridges. While I enjoyed these older games back in the day, I don’t share the same hankering for them as the people who consider themselves as retrogamers do. And that’s because throughout my life, I’ve essentially been behind the times when it comes to video games. I got my first Famicom waaaaay later than my friends. I was playing Super Nintendo games when everyone else was enjoying Playstation games, buying GameCube games while everyone else was building their PS3 libraries. It wasn’t until the 3DS generation that I became “current”, and because of my past experiences I’ve basically closed my doors on the classics. I even ignored the biggest hits of the Nintendo DS even if it was only a generation behind, spending a lot of my time on 3DS games. 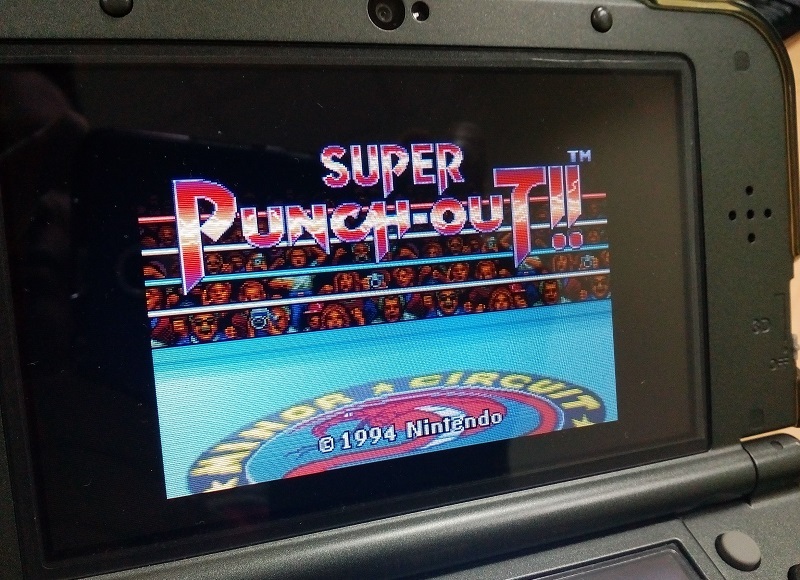 So I surprised myself when I was so hyped for the Super Nintendo Virtual Console games on the New Nintendo 3DS. I don’t know why, but I eagerly counted the days, waiting for the release of Super Metroid and The Legend of Zelda: A Link to the Past. I bought Super Metroid the day it was released and showed it to a friend of mine who also owned a New Nintendo 3DS. His response? I didn’t even know that this was coming out when I saw it on the eShop. Super Punch-Out!! This game was on my wishlist! I not only bought it immediately, but played it immediately. And I realized that yes, playing older games can be worth your time. First of all, playing older games can give you a glimpse of how video games were in the past – how they were designed, what were the technological limitations, and so on. If you’re like me and you have played games from previous generations, then playing them again can serve as a reminder of what kind of games you enjoyed back then. Secondly, you can also go back to all-time classics that you missed out on. That was the main draw of Super Metroid for me – it’s a highly touted video game classic that I never had the chance to play. One caveat though – these games have to meet your minimum technical specs. 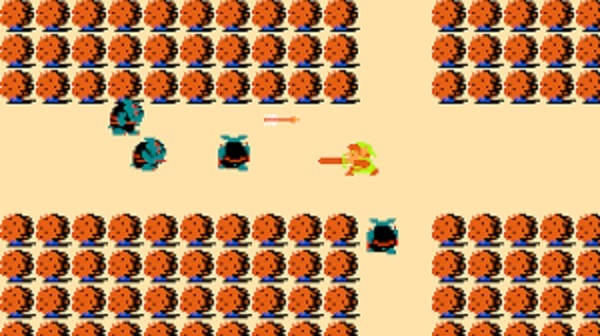 The Legend of Zelda is an all-time classic. But I don’t enjoy playing it anymore. Despite wanting to play classic video games that I missed out on back in the day, I don’t enjoy playing NES games anymore. I got Metroid on the NES Virtual Console for free and I’ve barely touched it, and yet I’m quite interested in its next-generation sequel Super Metroid. I love The Legend of Zelda but I don’t enjoy the first two games in the franchise (both released on the NES). However, Super Nintendo games are still palatable for me, similar to how I can still appreciate ’80s and ’90s films but rarely anything before those decades. Super Nintendo games are technologically advanced enough for me, but not for my friend. The bottomline is, if you enjoy playing a particular game, why would it be a waste of time? You play video games to be entertained, so if playing an older game still entertains you then your time wasn’t wasted – not exactly rocket science. What’s truly a waste of time is playing a game that you don’t enjoy, a game that doesn’t entertain you, because it kind of defeats the purpose of playing video games in the first place. So if you find yourself choosing between playing an older game or one of the current releases, just ask yourself what you would enjoy playing more. Take the age factor out of the equation because you won’t be able to play all the current releases anyway. What’s important is that you’re using your video game time on playing the games that you want to play. Sometimes, i find that the newer games for PS4 and so forth take up way too much time to get going, with updates being downloaded and so forth. I much rather load up something quick that i can play for 10-15 minutes before moving onto something else. Thats where the classics on the NES/gameboy make much more sense for me these days to play because theyre quick. Thanks for the comment! You know what, I never factored that in, but accessibility is definitely another reason why older games are still worth playing today.